Can You Get Medicare for Kids? Medicare was started as a program for adults aged 65 and older. Over time, the program has allowed others to receive federal health insurance even if they are not 65. For instance, children can receive Medicare and other government-related healthcare if they meet certain conditions. Children are defined by Medicare as anyone under the age of 22 who is unmarried. If you have a child who needs Medicare, and they have a disability or special needs, then you likely qualify for certain government health programs for kids. These are some tips to go over when deciding what type of health coverage to get for your child. Are Children Eligible for Medicare? If you want to qualify for Medicare, children must be disabled and checked through the Social Security Administration. They need to have been receiving social security for their benefits for two years before applying for Medicare. However, if your child has End Stage Renal Disease, which is a kidney condition that needs dialysis every day or a transplant for the affected kidney. Medicare pays for doctor’s visit and medical services that are provided for those disabilities and conditions that are allowed by Medicare. In order for the child to be eligible for Medicare, parents also have to meet requirements set by the federal health program. Medicare only gives benefits to children when they are disabled or have a type of disease like ESRD. Medicare only gives treatment to legally adopted or birth-related children. Stepchildren can only receive Medicare if you have been a parent for at least one year. You also must have received Medicare credits in the past years through work. Parents can also get Medicare credits for each $1,120 that put into Medicare from working. If a parent is eligible for social security disability or the railroad retirement board benefits, then the child also qualifies for Medicare Part C.
Medicare benefits have time restrictions for those who have end stage renal disease. In general, coverage ends about 12 months following the last dialysis treatment. It can also end after three years past from the date that your child received a kidney transplant. IF you have a child who is disabled, then he or she can keep benefits as long as they continue to be disabled. The law allows anyone over the age of 22 to qualify for Medicare through disability if it began before age 18 and even if you don’t have any working credits. What is CHIP and Can I Use It for My Child? CHIP provides health coverage fr children in families that make too much to qualify for Medicaid but also can’t afford private health insurance. CHIP was created in 1997 and continues to be one of the best programs for kids healthcare in the US. CHIP is administered on a state level just like Medicaid, but it is partially funded by the federal government. However, money also comes from the stage budget. There is a federal matching rate for CHIP programs in each state that equals to about 15 percentage points. It’s actually higher than Medicaid. However, you have to work with each state as they all have their own CHIP programwith CMS and general guidance services. Monthly income must be below a certain amount for kids to qualify. For example, for a family of one, then the monthly income must be below $1,344 or a yearly income of $16,116. They are 18 or younger. Technically, at age 20, “children” are eligible for Medicaid. You are a US citizen and live in one of the 50 states. You can enroll in Medicare or CHIP for your children at any time of the year. If My Child Qualifies for CHIP, Do I Need Medicare? Medicare can be used to supplement health coverage for your child if they are under the age of 22 and qualify for Medicare because of an illness or disability that makes the child eligible to receive care. While Medicare eligibility isn’t based on income, you receive certain cost allowances if you don’t have the best income. What Medicare Plan is Right for My Child? If you are eligible for Medicare, then the best plan is sold through a private health insurance company in the form of Medicare Advantage plans. These are plans that were created by private health insurance companies, but they offer more services. 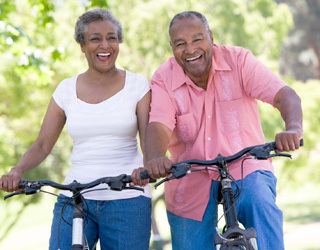 There are many advantages to using Medicare Part instead of CHIP or other private health insurance policies. For one, you can see doctors at any Medicare-approved facility, and you can also get coverage for your child’s doctor’s visits and so much more, which brings the costs down a lot. If you don’t qualify for other children’s healthcare programs, Medicare may be the right answer. One thing to remember is that you have to receive social security benefits for a disabled person for 2 years before you can get on a Medicare plan even if for your child. For other questions concerning Medicare or family health insurance plans, just go through our blog. It’s updated each week with lots of different tutorials and tips specifically related to Medicare health coverage and Medicare Part C.